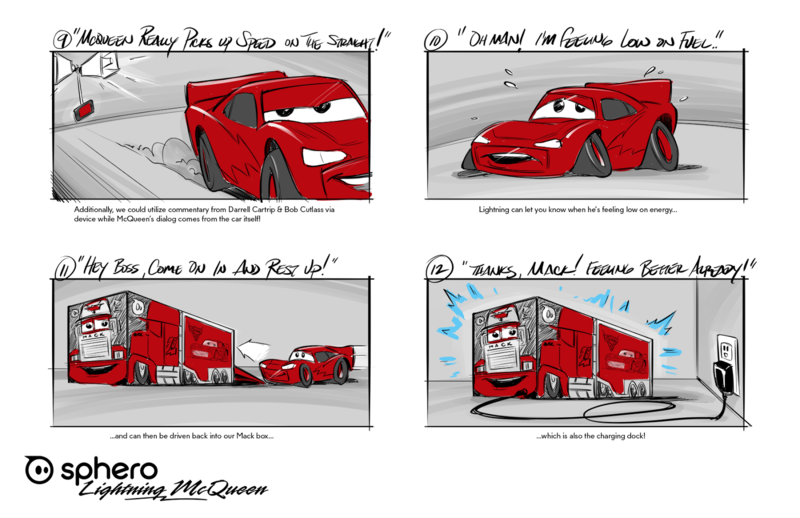 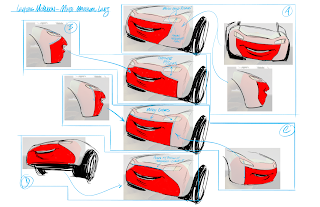 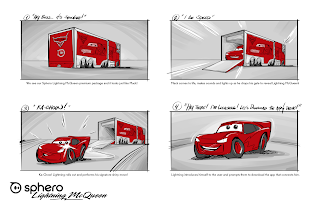 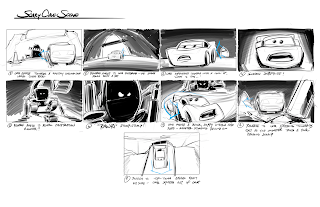 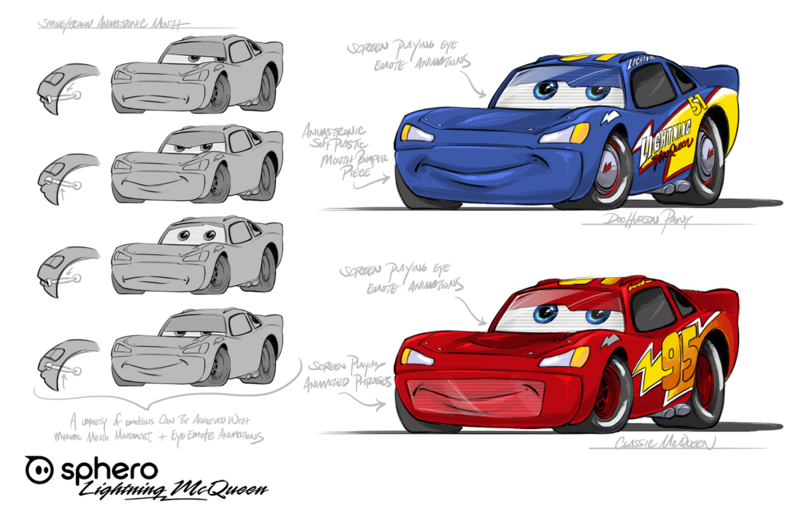 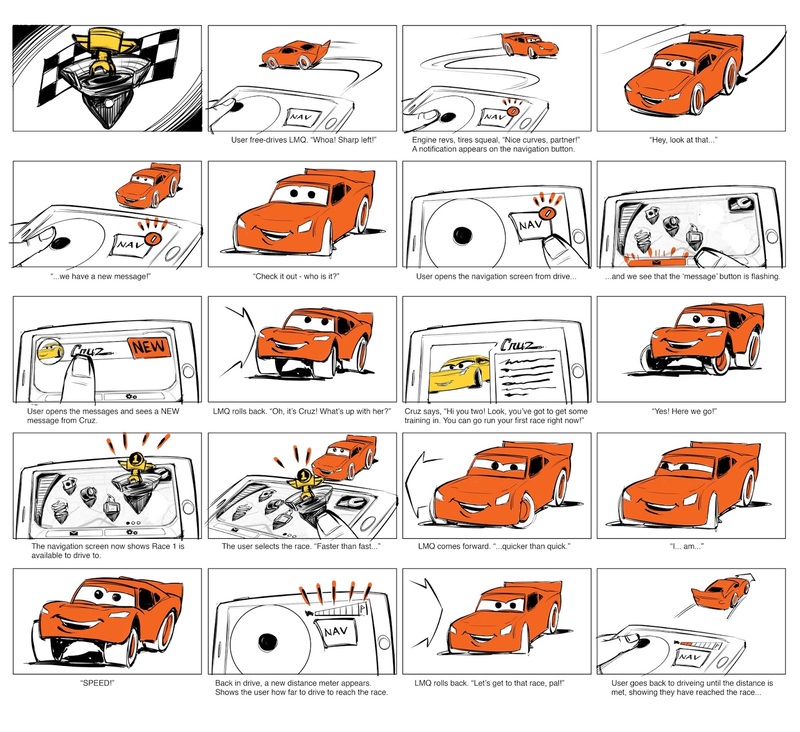 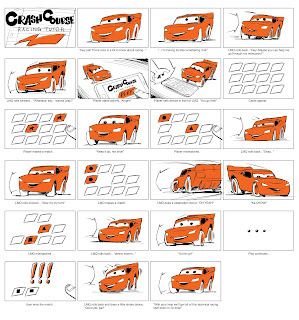 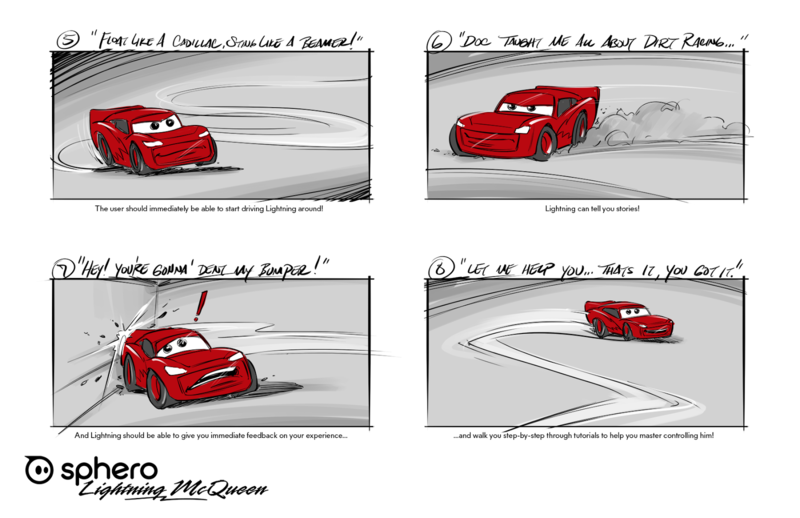 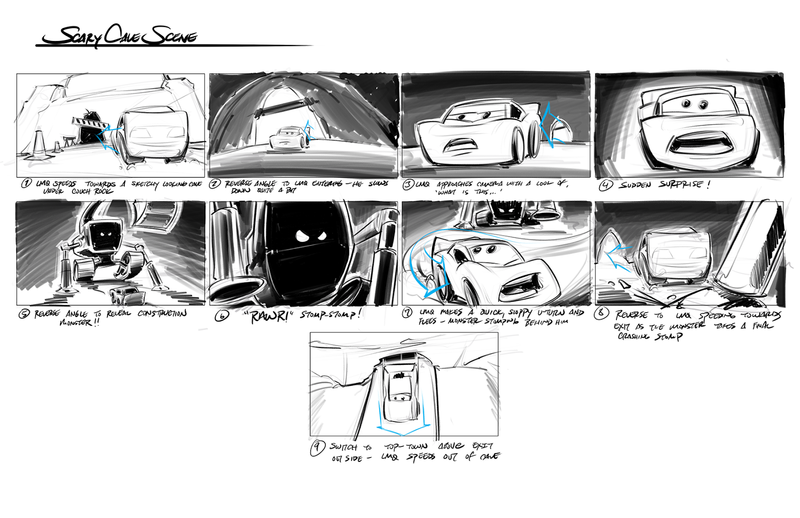 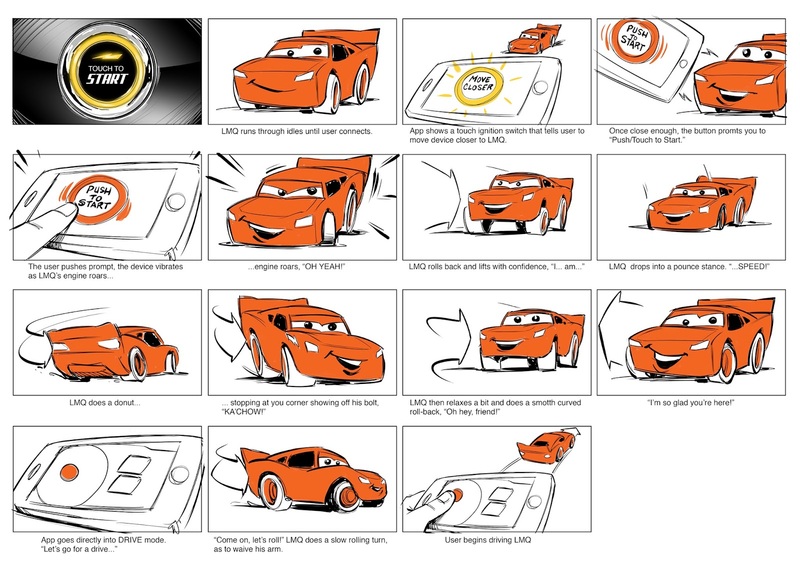 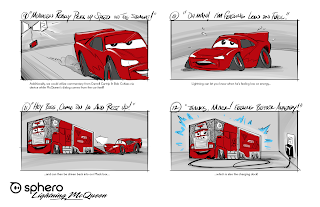 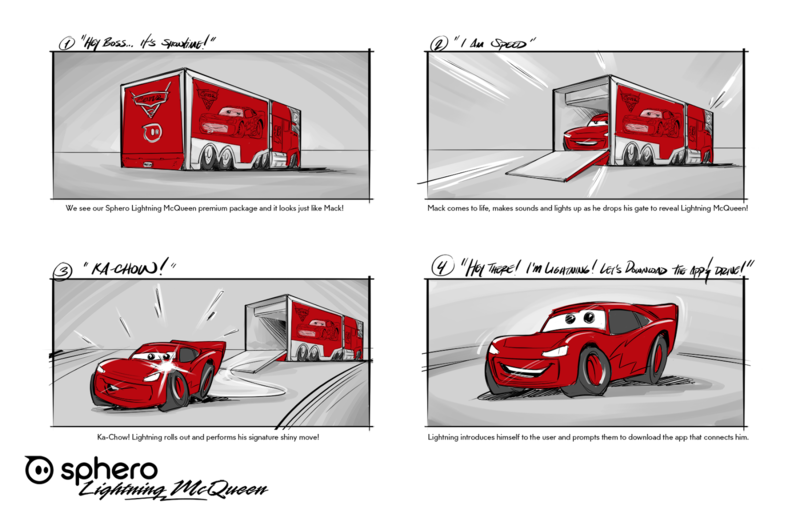 The last project I worked on with Sphero was the app connected Lightning McQueen - a project dear to my heart as I am a HUGE Pixar fan and a lover of their Cars franchise and films. I was involved in all creative aspects of this project until my departure from Sphero in December, 2016 - from pitch art to user experience, from physical product design consulting to app experience design. 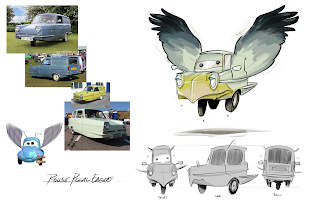 It was an amazing project and I was sad to leave the company before I saw it shipped. 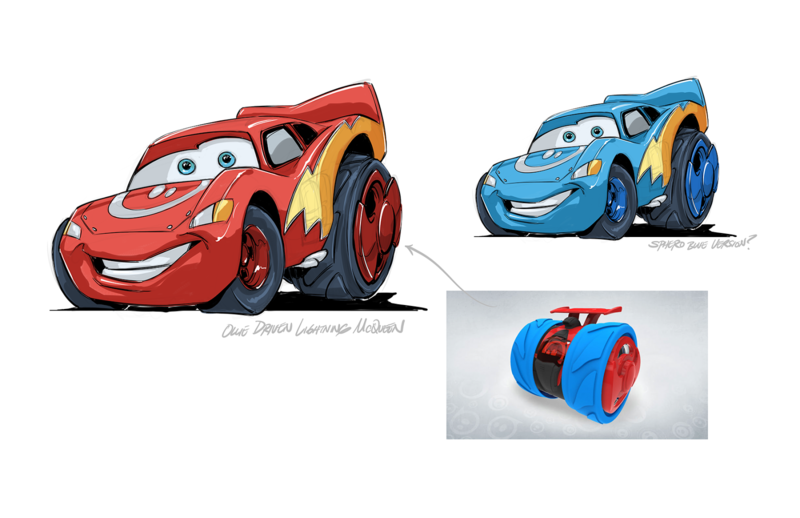 The very first piece of pitch art for Lightning was a sketch showing Sphero's Ollie used as the drivetrain for LMQ. 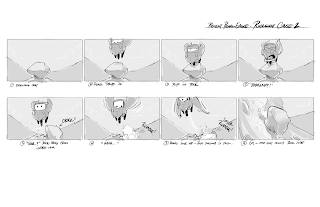 Another early sketch shows the eye video screen - and also shows that we thought about a video screen for mouth animations as well at on point. Early first time user experience with the idea that the box double as Mac and Lightning's charging station. A Reliant Regal I designed as a bird-car for a pitch video. 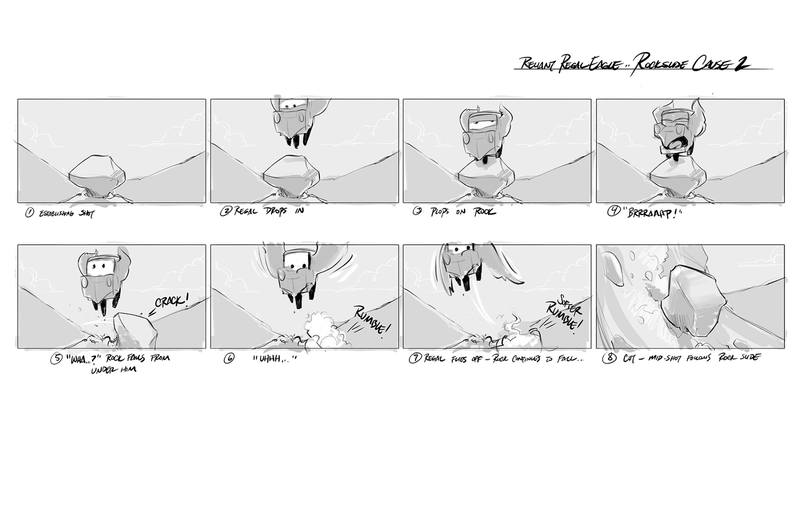 A story sequence from the same pitch where LMQ encounters a mean fellow. 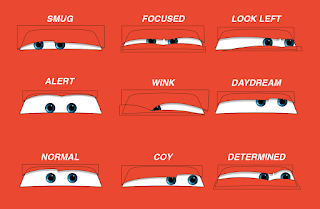 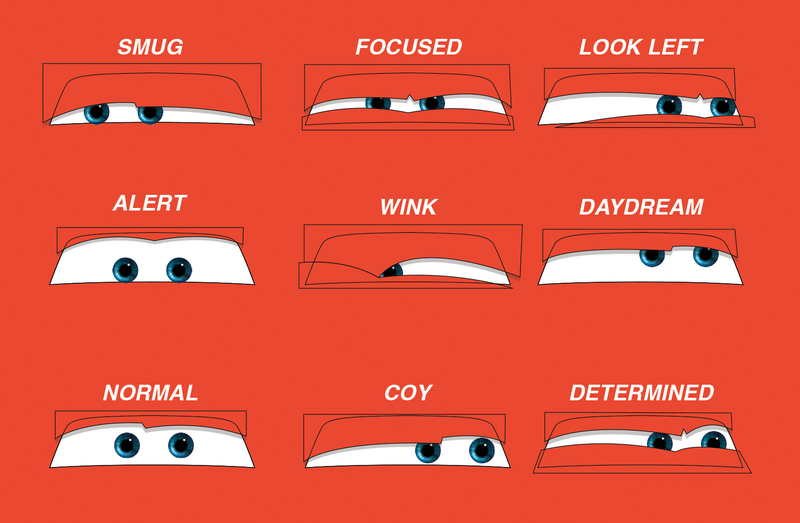 Some technical art that was used to guide engineers and animators. 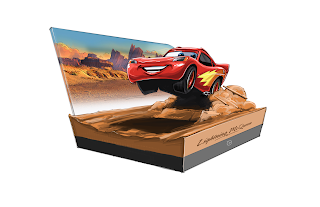 Ideas for super fancy display stands/charging stations. 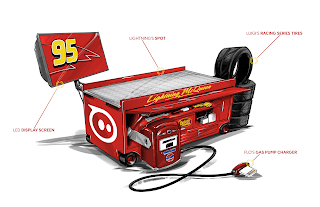 A concept for a charging station based on the NASCAR pit war wagon. 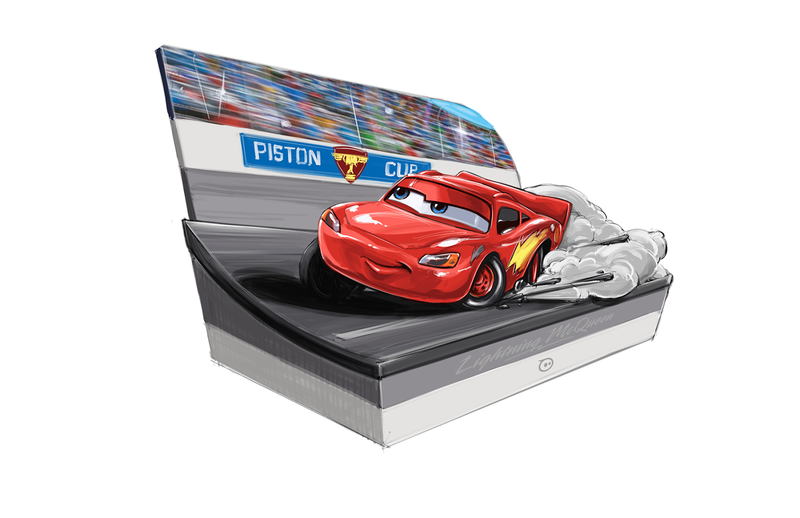 A Sphero-esque packaging concept I did while working with Sphero's amazing package designers - not too far off from the final package design. 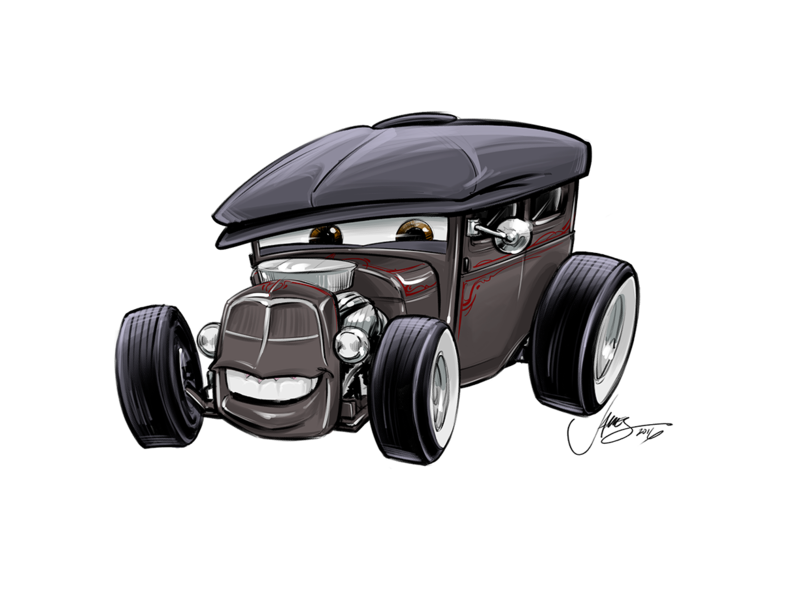 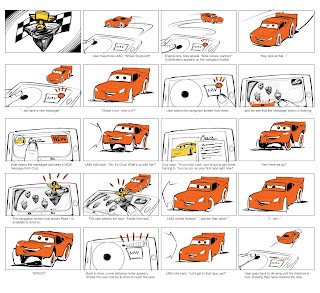 Pixar veteran and Cars Brand Ambassador, Jay Ward, personified as a hot rod for a Pixar pitch - and for fun.